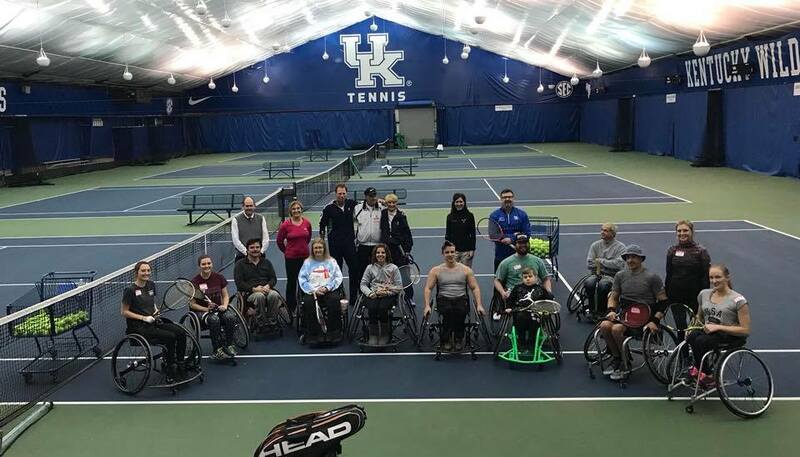 Dr. Bal Moore will be the main facilitator for this free indoor wheelchair tennis training hosted by University of Kentucky’s Hilary J. Boone Varsity Tennis center. 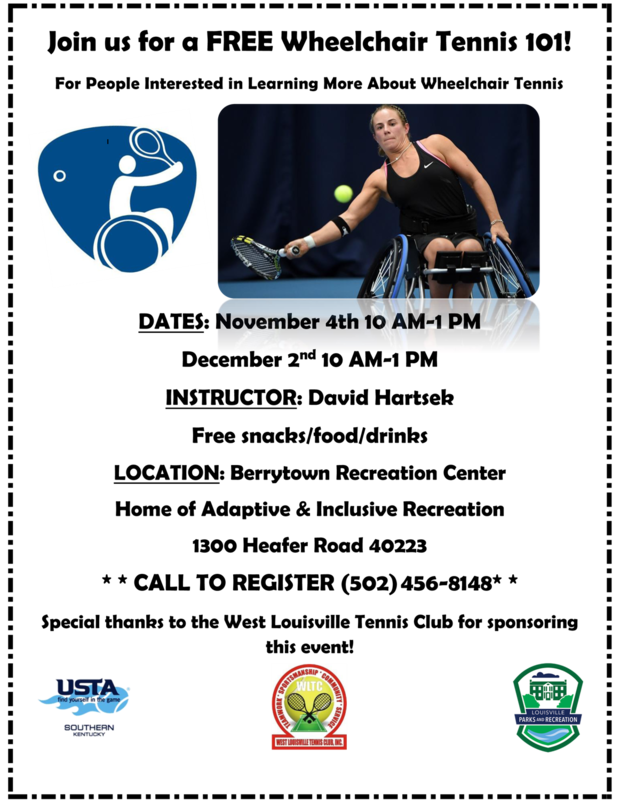 Dr. Moore has an extensive background in wheelchair tennis, with published books on wheelchair tennis, 10 years of coaching the late gold medal Paralympic athlete, Randy Snow, and too many contributions to list here. 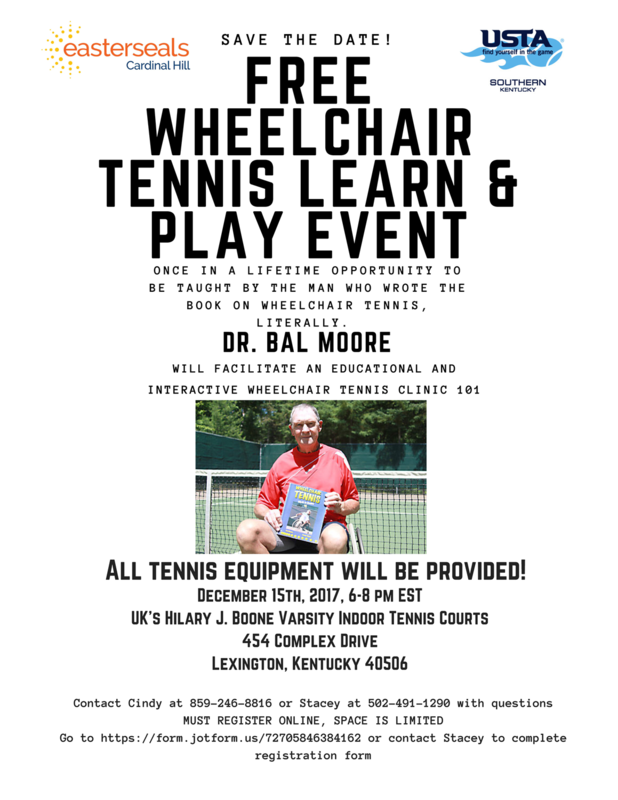 Dr. Bal Moore will be accompanied by several other wheelchair tennis experts to facilitate clinic. 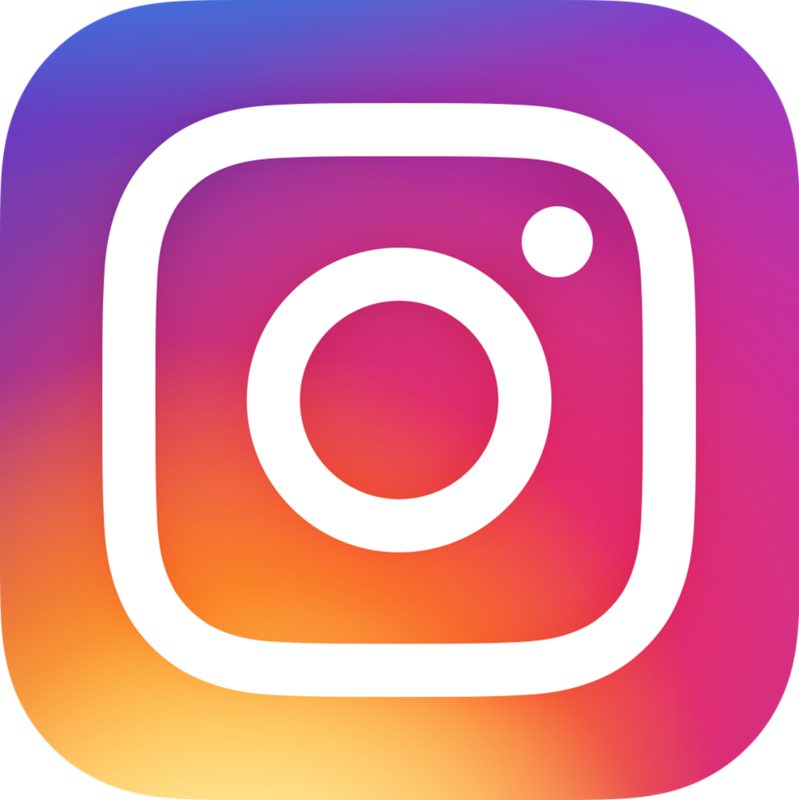 This clinic is for both wheelchair users and those who are simply interested in learning more. Space is limited and you must sign up for the free online registration. 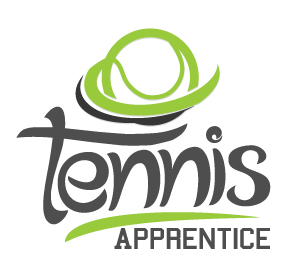 Want to learn about wheelchair tennis and experience it for yourself? This FREE clinic is for you! There will be two offerings of the clinic, you can sign up for one or both dates. 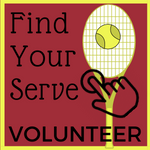 Wheelchair Tennis certified instructor, David Hartsek, will be the main facilitator of these clinics. 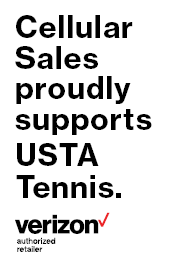 Special thanks to the West Louisville Tennis Club for sponsoring this event!